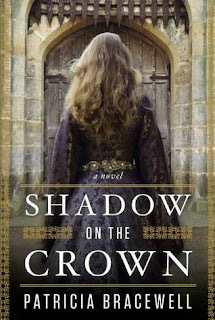 After entering countless goodreads contests, I won my first book: Shadow on the Crown by Patricia Bracewell. I was thrilled! This is a fictionalized account of the life of Emma of Normandy, who became Queen of England twice, first by marrying Athelred the Unready and then the conquering King Canute. This all takes place in the early turn of the millennium, starting in 1002 in Bracewell’s novel, with the sixteen-year-old Emma being sent to wed the nasty King Athelred. Athelred is significantly older than Emma. He already has six sons by a previous wife, and he is marrying Emma only for political reasons, to make a treaty with Normandy that he hopes will keep the Danes from England’s shores. He uses Emma as a hostage, treating her with the same disdain and mistrust that all his counselors and subjects receive. Athelred is a troubled man. He gained his throne as a boy after his elder stepbrother, Edward, was murdered–most people believe that Athelred's mother was responsible for plotting Edward’s murder. The rumors are true, and Athelred did nothing to warn his brother of what was to come. Guilt and his own ineffectiveness as a king have driven him more than half mad. He takes out his frustration and fear on his new wife and his sons. Emma struggles to deal with the realities of her new life in the strange land with a husband she quickly learns to despise. She is able to make a few friends--most importantly, Athelstan, the king’s eldest son and heir. Athelstan has all the intelligence and steadiness that a king should have, everything his father does not. Unfortunately, the only way for Emma to have any real standing in England is for her to produce a son. Once she does, the son will become a rival for the throne. She and Athelstan are aware of the difficulties that could cause for their relationship, but so long as there is no baby, there is no threat to Athelstan’s inheritance unless it comes from outside England. At the same time, Athelred’s unending missteps have brought the wrath of the Danes upon England. Their leader, Swein Forkbeard, is determined to add England to his list of conquests, and it seems Athelred will be powerless to stop him. Bracewell does a good job imagining the lives of these characters and places them in a vividly realistic, often brutal, historical setting. I’d recently read The Forever Queen by Helen Hollick and enjoyed seeing a different take on the same storyline. Shadow on the Crown covers a shorter segment of the queen’s life, taking us only into 1005. I suspect a sequel is in the works, since Emma’s life becomes increasingly exciting from here. 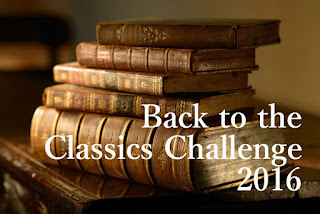 The historical fiction challenge 2013 is hosted by Historical Tapestry. 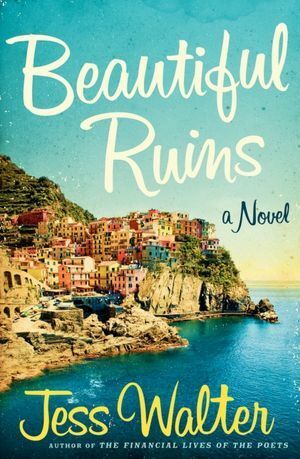 Beautiful Ruins by Jess Walter is an odd book, or at least an odd choice for me, but a very engaging one. It begins with the unlikely scene of a young Italian hotel owner, Pasquale Tursi, trying to build a beach along the rocky coastline of his remote, nearly inaccessible fishing village by throwing rocks into the sea. He needs a beach if he’s ever going to attract tourists to the hotel– The Hotel Adequate View – that he recently inherited from his father. They don’t get many guests, but, on this particular day, a boat puts into the harbor carrying a beautiful young American actress, Dee Moray. It is 1962, and Dee Moray has been in Rome working on the film Cleopatra with Liz Taylor and Richard Burton. But--she was diagnosed with cancer. Now she has come to this remote location to decide what to do next. The film’s publicity agent/problem fixer, Michael Deane, has sent her here to rest until she’s ready to go to Switzerland for treatment. But Dee isn’t sure she wants to fight; her mother died of breast cancer and the therapy was no help. Pasquale’s English is just so-so and Dee’s Italian is even worse, but they are able to make themselves understood. It only takes a short while for the smitten Pasquale to realize that Dee is waiting for a man to come meet her, and it doesn’t take much longer for Pasquale to come to the conclusion that the man is not going to come. Pasquale goes off to Rome to make this right, setting in motion a chain of events that lead the good-hearted innkeeper to reevaluate the things he’s done and plans to do with his own life. The book jumps back and forth from Dee and Pasquale’s earlier life to roughly the present. Michael Deane is a famed Hollywood producer now, but after an enormously successful movie-making career, he has been side-tracked to reality TV. He doesn’t mind so much—money is money—but his intense young assistant, Claire Silver, is appalled by the drek they are turning out. She wants to make meaningful, artful movies. Working for Michael Deane should be a dream job but it’s a nightmare, until an elderly Italian man shows up at the studio one afternoon, looking for an actress from the sixties named Dee Moray. This book weaves its plot around the lives of several messed up people, exquisitely characterized for us– some very likeable, some who are OK in small doses but they’d wear on you in real life, and one who is an unredeemable jerk. The plotting is larger than life (Richard Burton is a character?) and yet, it all somehow comes together believably. There are moments that were beautifully touching. And there are scenes that made me laugh. I can’t remember where I saw the recommendation for this one. I put myself on the library waiting list and it took awhile to get the book. To be honest, a couple of chapters in, I considered giving up on it and moving on to something more my usual fare. It starts out a little messily scattered and I didn’t see where it was going. But I’m so glad I stuck with it because the characters reached in and grabbed me. Pasquale is a protagonist I’ll remember for a long time. 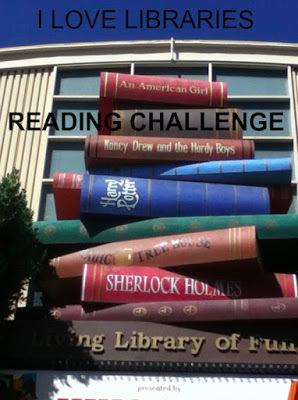 The library challenge is hosted by Book Dragon's Lair. 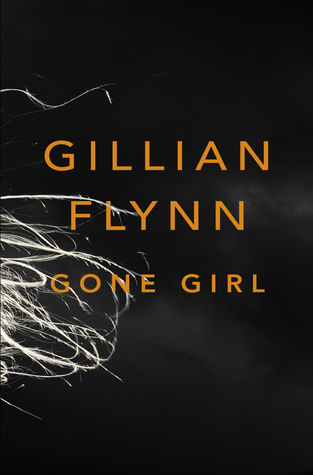 Gone Girl by Gillian Flynn is one of those books that came to my notice because of the book blogging world. A contemporary psychological thriller, it’s not the type of book I would have picked up at the book store and decided to purchase on a whim. Someone would have had to have put it in my hand and said "Read this." But the novel whirled around the blogosphere and I decided I wanted to see what all the hoopla was about. Plus, my library carried it as an ebook, and it’s still kind of fun to borrow ebooks. I don’t do it that often. When the book is available you only get 3 days to download it and then 14 days to read it, so whatever book it is has to jump everything else in the TBR line. But there is still something a little thrilling about pushing a button and having a book appear...and knowing that in 2 weeks it will just disappear and I don’t have to worry about taking it back to the library. I’m old enough not to take that for granted but to find it kind of disturbingly magical. Anyway, Gone Girl. This is a very good book about some truly awful people. Well, some are truly awful, others are just not very pleasant. The story opens on the morning of the fifth wedding anniversary of Nick Dunne and Amy Elliott Dunne. These attractive young people were once happily wed writers in New York City, but they suffered a series of professional, financial, and personal setbacks and have ended up in a rental home in Nick’s hometown, New Carthage, Missouri. These two don’t do well under duress, so their marriage is not doing well, has not been doing well for quite some time. And, on this special morning, Amy disappears. Nick is left to deal with the obvious consequences of a missing wife. The story is told in alternating POV’s, starting out with Nick in the present and old diary entries of Amy’s filling in backstory. This is another book where the plot cannot be summarized without spoiling the suspense. So I’ll stop here. Gone Girl is an addictive read. The twists and turns of the plot kept me curious and racing to read to the finish. If you like your characters nasty and too smart for their own good, try Gone Girl. 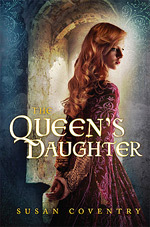 This is another book added to my library challenge hosted by Book Dragon’s Lair. 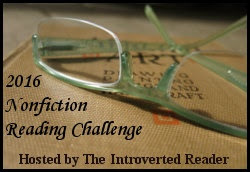 I should have put Wolf Hall by Hilary Mantel on my 2013 TBR pile challenge list–then I’d have one book checked off! Wolf Hall has been on my TBR list since it came out and on my bookshelf since 2010. 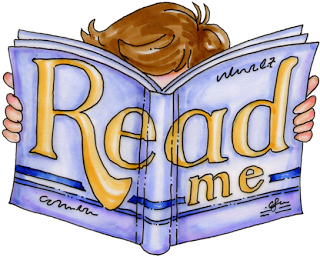 My husband, who rarely reads fiction, was intrigued by all he kept hearing about it and actually read it before I did. He wrote a guest post for me back in January 2011. At that time, I imagined I’d get to it soon. I don’t know why, but the book kept dropping down my priority list. And then, my historical fiction/history book club chose it for our next meeting. Finally! A deadline! I read the book. As everyone knows, Wolf Hall is another Tudor book, but it’s not just another Tudor book. This one has literary cred. Not only did it win the Man Booker Prize in 2009, but the sequel, Bring Up the Bodies, just won another. Hilary Mantel tells us the story of Henry VIII’s obsession with Anne Boleyn, but he tells it from the perspective of the man who is to become the second most powerful man in the kingdom: Thomas Cromwell. Cromwell is a man you want working on your side. Not only is he loyal, but he’s hardworking and clearly the most brilliant man in the kingdom. Whatever needs doing, he’ll get it done–even something as impossible as ending King Henry’s marriage to Queen Katherine to pave the way for the king’s marriage to Anne Boleyn. 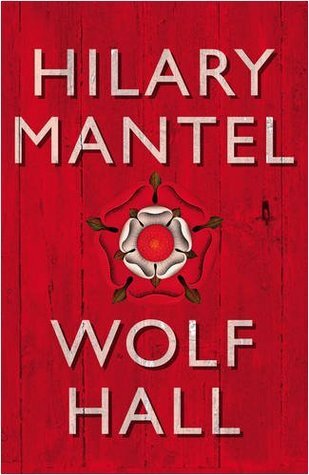 Wolf Hall is a marvelously detailed work of historical fiction. Mantel teases out the political, religious, economic, and interpersonal period details so that you end up with a very broad (if one-sided) view of Henry’s court from 1500 to 1535. Cromwell is a fascinating character to choose as the protagonist (despite or because of the awkward third person narrative voice) because he had a finger in every pot. Cromwell can certainly inform the reader what is going on in England. Moreover, the moral ambiguity of his character adds a great deal of depth to the read. I can admire his many skills, but what, exactly, are his goals? Is it mere ambition driving him? Desire for vengeance? Wealth? Is it only the desire to serve his master–to prove himself? Is it that he craves the reward of having his talent recognized by those who want to believe themselves "above" him? He can be kind and introspective in one passage and in the next, ruthless and fatalistic. Wolf Hall is, of course, a worthwhile read for historical fiction fans and for anyone who would like to know more about the Tudors. But I can’t honestly say that it was an easy read, or that I was engrossed. The novel had slipped down my priority list in part because of its reputation for being a "doorstop." I have the hardcover and it looks like a time-sink. In fact, it’s 532 pages, and the print is a reasonable font size, not tiny. So it isn’t a daunting book when you actually open it up and look at it. But, for me, it read like a much longer book. Mantel uses a very carefully crafted style that means you’ll have to concentrate while you’re reading. I often had to read passages more than once to figure out who was speaking or what character was being discussed. It isn’t necessarily a bad thing to make your readers slow down and pay attention to what you’re saying. There’s a lot of sly humor sprinkled through the book that I might have missed if I were reading along at my usual pace. But, Wolf Hall was the longest 500 page book that I’ve enjoyed that I’ve ever read. 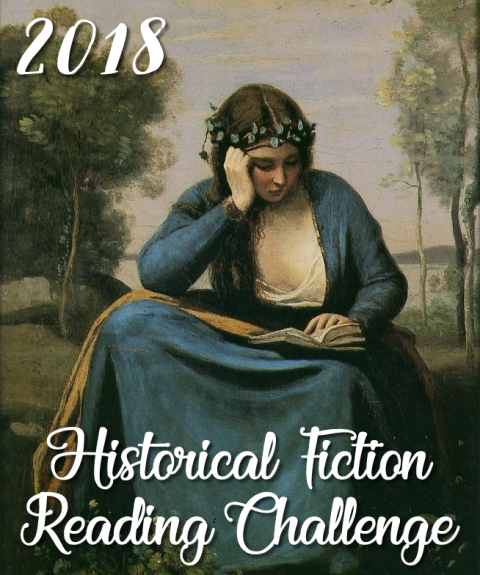 The historical fiction challenge 2013 is hosted by Historical Tapestry. Join in!